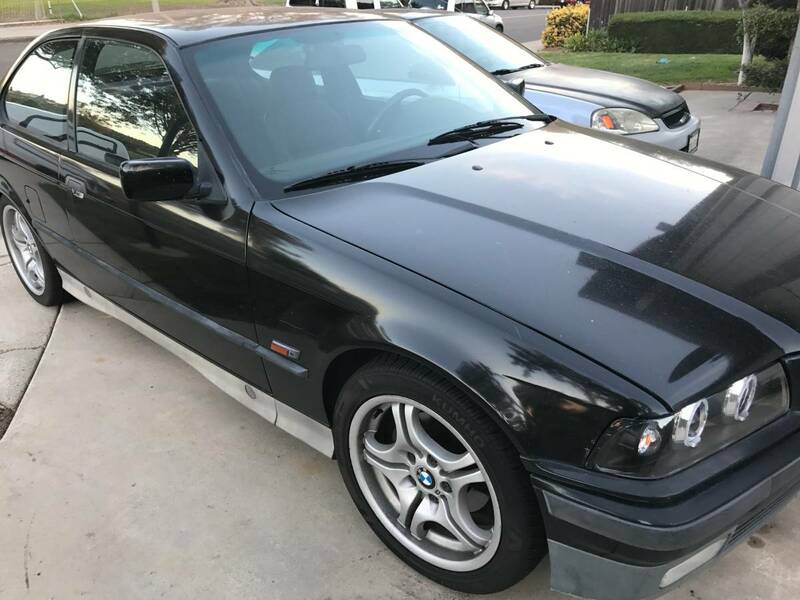 This next craigslist advert gave me double take -- not because it looks crazy but because the seller listed it as a BMW Mustang...I didn't know that BMW ever made a Mustang! Imagine my surprise when I opened this 1995 BMW Mustang offered for $3,500 in Ventura, CA via craigslist. 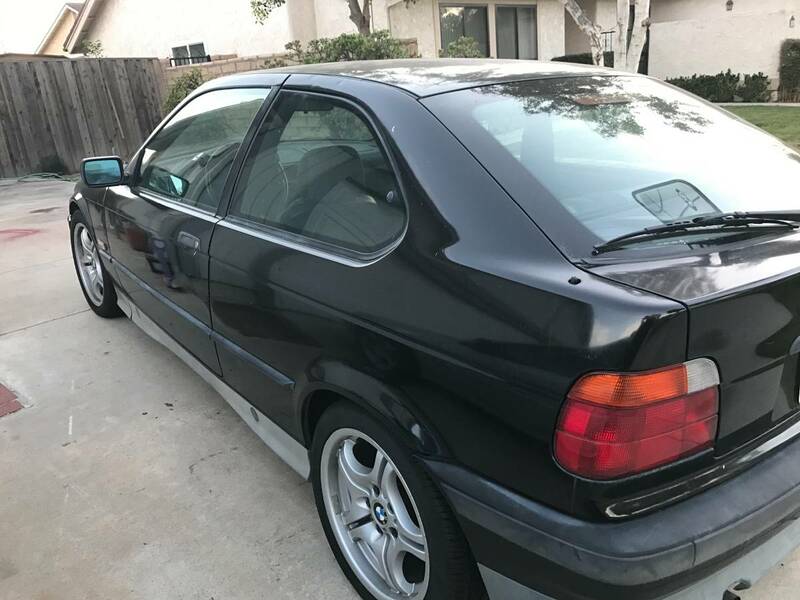 Tip from Sean S.
This compact luxury coupe hatchback might have started life as a 1.8 liter powered BMW, but it is now a V8 powered beast with faded paint and no passenger seat. 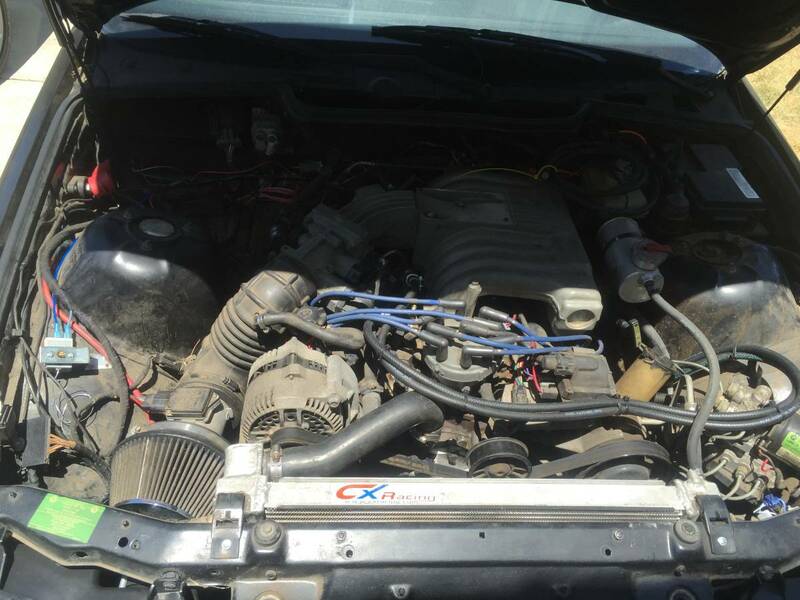 Under the hood is a 5.0 liter Ford Mustang HO V8 -- which should be good for at least 250-300 horsepower, probably more if the seller spend some time with the Ford aftermarket parts catalog. I suspect you could get another 90k out of the drive-line, but only 900 out of the rear tires. I'd be burning them off. Price is right. Touch up the paint and drive hard. This would be so perfect for a start-up drift car, especially if it was track only. Can you imagine if one build up the engine with out smog? So fast. "no passenger seat the rest of the interior is clean and there"
Would love to know the story on that. Throw on some classic BMW hub cap wheels and a really quiet muffler and this would be a fun sleeper! I assume that this wouldn't pass smog unless the referee was on acid, otherwise it would be priced and advertised accordingly.